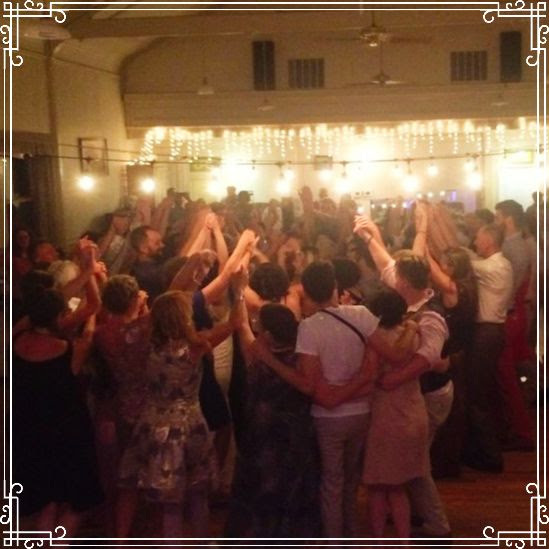 Dance, Celebrate, Feel and Dream with us at the Stonehouse, January 18, 2019. Wild and Scenic Film Festival Friday Night Afterparty 1/18/19. Call of the Wild! 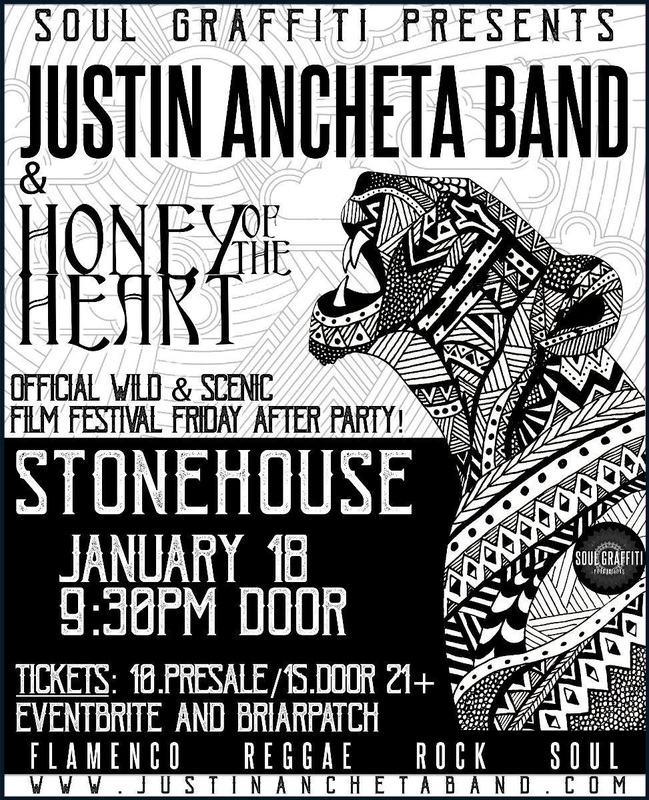 Wild and Scenic Film Festival Features Honey of the Heart and Justin Ancheta Band for their January 18, 2019, Friday Night Afterparty at the Stonehouse in Nevada City, CA. These bands will create an opportunity to dance, celebrate, and feed your soul the musical experience you have been waiting for. They will wrap up Wild and Scenic’s Friday night with some hard-hitting funk, world beats, luscious harmony, roots, soulful vocals, improv, beatbox with a deep-pocket rhythm section. Their songs are laden with conscious lyrics and thought inspiring themes, matching the overall vibe of the festival. The versatility and combination of these bands offer something for every music connoisseur. They bring a mature, diverse world sound to wrap up the second night of the wild and scenic film festival. What kind can you expect? Come join these local gems for a night of “inspiring rhythm and sound” at 1/18/19 of the Wild and Scenic film Festival. Honey of the Heart and Justin Ancheta Band are joining forces for a night of dance, harmony, and adding powerhouse rhythm, including Richard Jones on the drum kit and Fred Doumbe on bass and stellar melody addition (Gary Regina). What are people saying about Honey of the Heart and Justin Ancheta Band? In addition to our regular gigging schedule and recording projects, we are booking out our 2019/20 wedding & special event season and would love to include more special days to our calendar! Honey of the Heart thrives in service of ceremony and special events. From the walk down the aisle, leading processions, creating tasteful background ambiance and calling in the energy of a room, to bringing dance to the reception, we’ve got you! We are geared and inspired to show up for these kinds of precious days of our lives. Contact us to find out if we are an ideal match for your special day. Send us a message to find out more at info@honeyoftehheart.com. Feel free to share our website, or check out & fill out our Wedding/Event form HERE. Holiday Gifts and Upcoming Shows!